Windgate Ranch is between McDowell Mountain Ranch and DC Ranch, abutting the McDowell Sonoran Preserve. Toll Brothers is planning trails through Windgate Ranch Real Estate that will connect to the preserve. Other amenities include a community center, two swimming pools and pocket parks. Toll Brothers will offer five collections of homes. The one- and two-story homes will range from 2,700 to 6,000 square feet. Inspired by the best in Southwest living, the community reflects a touch of Old-World Spanish hacienda-style architecture, inviting courtyards and romantic balconies. Windgate Ranch Real Estate is very close to the TPC of Scottsdale. This is where the Phoenix Open (FBR Open) is held every year. This golf tournament is billed as "the biggest party of grass". The Phoenix Open (FBR Open) is the largest professional golf tournament in the world by attendance. The Phoenix Open (FBR Open) is also home to the famous Birds Nest, the after golf party center, featuring the fabulous band Duck Soup (which is a Phoenix Open tradition). 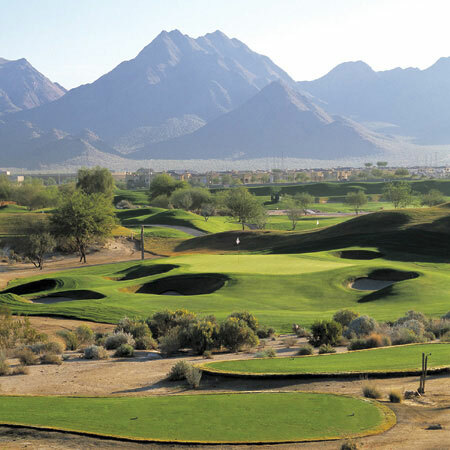 When you decide to buy Scottsdale AZ Real Estate, (whether it's Windgate Ranch Real Estate or some other premium Scottsdale AZ Real estate) be prepared to live amidst some of the most renowned luxury resorts and spas, championship golf courses, gorgeous homes, and natural desert beauty in the world. With all these amenities at your fingertips you’ll be living in paradise.